Since President Trump terminated the Deferred Action for Childhood Arrivals (DACA) program in September, you have heard about our efforts to speak truth to power. 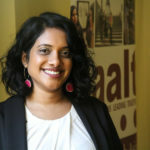 During a 2-day mobilization in Washington, D.C. last month, South Asian DREAMer, leader, and SAALT ally Chirayu Patel asked elected officials at a rally on Capitol Hill, “What is the legacy you want to leave behind?” You heard SAALT’s Executive Director, Suman Raghunathan, demand a clean DREAM Act without any compromises on increased border enforcement that will negatively impact immigrant families. Over the last three months, DREAMERs have been deported by the thousands, with over 100 DREAMers falling out of status every day because Congress’s failure to act. Additionally, the government is terminating Temporary Protected Status (TPS) for several countries that are still reeling from war, disease, and natural disasters. So far Nicaragua, Honduras, and Haiti have been on the chopping block. Nepal and others could be up next. We are now at the end of the year and Congress needs to deliver. Funding for the government expires this Friday, December 8th and Congress plans to pass a short-term Continuing Resolution (CR) to keep the lights on. This is likely the last must-pass spending bill of the year, and the last chance for us to get the DREAM Act and TPS legislation through Congress this year. Call your elected officials and tell them why they must include the DREAM Act in the last must-pass spending bill of the year. Urge them to withhold their vote on any spending bill that does not include a clean DREAM Act. It is critical that calls are made this week before a Continuing Resolution is passed on December 8th. Click here to find your Member of Congress. See below for a sample script! “I am calling to urge you to sign on to the bi-partisan DREAM Act of 2017. 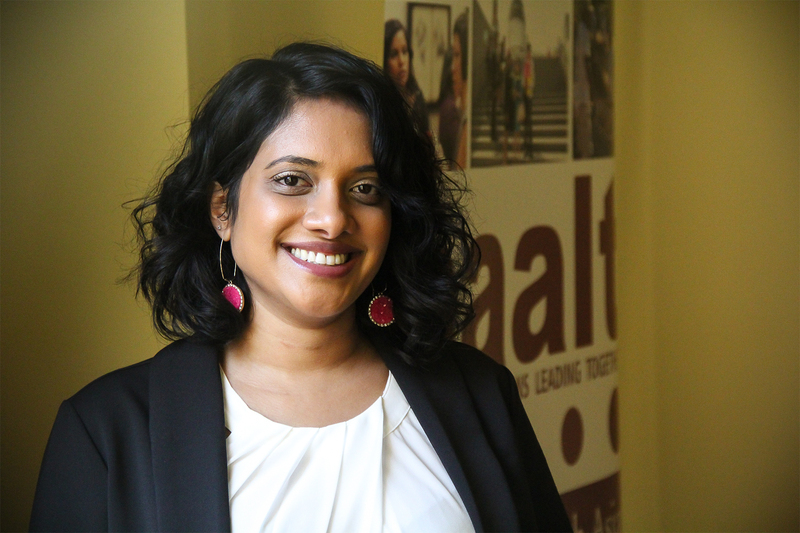 As a South Asian American constituent, I am calling on you to support the DREAM Act now and ensure that it is included in the year-end spending bill. This legislation would allow our DREAMers who are as American as you or me to remain in the only country they have ever known or called home. You may be surprised to know that there are at least 450,000 undocumented Indians alone in the U.S. and there are at least 23,000 Indians and Pakistanis who are eligible to remain in the country, be shielded from deportation, and legally work through the DREAM Act. The Muslim Bans are a series of discriminatory executive orders and proclamations that the Trump administration has implemented. While the first version, Muslim Ban 1.0, was signed and went into effect on 1/27/2017, within a day of being signed, thousands of individuals across the country rushed to the airports in protest, and significant portions of it were immediately blocked by the federal courts. The administration has continued to issue different versions of the Muslim Ban, which are working their way through the court system. Just as with Muslim Ban 1.0, the federal courts have temporarily blocked significant portions of the subsequent Muslim Bans, finding them to be blatantly anti-Muslim, unconstitutional, and an abuse of the President’s power. The fight to challenge the Muslim Bans continues. Despite intense opposition and criticism from the public, allied legislators, and the federal courts, the Trump administration has also pushed forward other discriminatory policies that share the same goal as the Muslim Bans and target Muslims and other immigrants and communities of Color. Extreme Vetting (or the Backdoor Muslim Ban) – On 3/15/2017, the Secretary of State called for enhanced screening of nationals of the six countries included in Muslim Ban 2.0. On 5/23/2017, the Office of Management and Budget approved discretionary use of “extreme vetting” questions, including inquiries into social media accounts and extensive biographical and travel information from the last 15 years. Impacts of the policy include a dramatic decline in visa applications; further delays in visa issuance to nationals of Muslim-majority countries targeted by the Muslim Bans; and discriminatory practices while issuing visas. Ending Temporary Protection Status (TPS) for Sudan – On 9/19/2017, a few days before Sudan was removed from Muslim Ban 3.0, the Trump administration announced an end to TPS for Sudan, effective 11/2/2018. Sudanese TPS holders may be forced to return to a country that is still unstable, despite this being the very reason for originally granting TPS to people from Sudan. These measures raise concerns about what is to come next for over 400,000 people with TPS from different countries. Slashing Legal Immigration and Cutting Diversity in our Immigration System – On 2/7/2017, Senator Cotton (R-AK) and Senator Purdue (R-GA) introduced a bill that would cut green cards by more than half and end our family-based immigration system. If passed, the Reforming American Immigration for Strong Employment (RAISE) Act, would cut current levels of legal immigration by over 50%, and eliminate the Diversity Visa Lottery Program, which provides opportunities for countries that send few immigrants – often those with a majority of Muslim and/or Black populations – to apply for a green card. Slashing Annual Refugee Admissions – On 9/27/2017, the Trump administration drastically lowered the annual refugee admission cap from 110,000 to 45,000, the lowest cap since 1980, and Muslim Ban 4.0 specifically targets countries that account for approximately 80% of all Muslim refugees resettled in the U.S. in the past two years. 120 days for all refugees On 6/26/17, the Supreme Court (SCOTUS) allowed part of the ban to go into effect, applying it to those lacking a bona fide relationship to the U.S. On 9/24/17, the Ban on nationals from the targeted countries expired and on 10/24/17, the Ban on refugees expired. SCOTUS dismissed the cases challenging the ban as moot. Waivers may be granted under circumstances set in each Executive Order or Proclamation. As of December 1, 2017, close familial relationship in the U.S or a formal documented relationship with a U.S entity. Familial relationship includes parents (including in-laws and step- parents), spouses, fiancées, children (including step children), siblings (including step and half-siblings), grandparents, grandchildren, aunts, uncles, nieces, nephews, and cousins. Formal documented relationship between students and universities; workers and companies; and lecturer invited to speak; among other examples are required. The Hawaii district court in Hawaii v. Trump initially blocked the Ban for all individuals, BUT on 11/13/17 the Ninth Circuit limited this ruling to only protect those individuals with a bona fide relationship to the U.S.
SAALT thanks our partners at National Immigration Law Center (NILC), Council on American-Islamic Relations (CAIR), and Asian Americans Advancing Justice (AAJC) for this infographic. “No one should be discriminated against on the basis of how they look, how they choose to pray, or their country of origin. ‘Muslim Ban 3.0’ remains reprehensible at its core and discriminatory in its intent. While the Supreme Court did not rule on the merits of the ‘Muslim Ban,’ court after court has consistently rejected it as outright discrimination and a threat to our most fundamental constitutional protections. The third version of the ‘Muslim Ban’ will only contribute to a worsening climate of hate aimed at our communities. The Supreme Court’s decision comes on the heels of the President tweeting incendiary and irresponsible anti-Muslim videos last week, posts applauded by white supremacists such as David Duke and denounced by the British Prime Minister and civil rights organizations. Anti-Muslim policies and rhetoric continue to have deadly consequences. The FBI’s 2016 hate crimes statistics reveal that assaults against Muslims have surpassed levels reached in the aftermath of the 9/11 attacks. 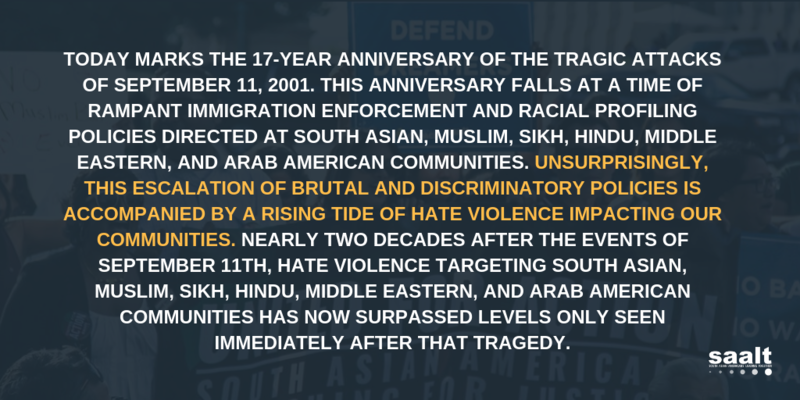 Since the election, SAALT has documented over 205 incidents of hate violence aimed at South Asian, Muslim, Sikh, Hindu, Arab, and Middle Eastern Americans, a 58% increase from the year prior. Due to a massive underreporting of hate crimes, we know this is just a fraction of the attacks our communities experience regularly.